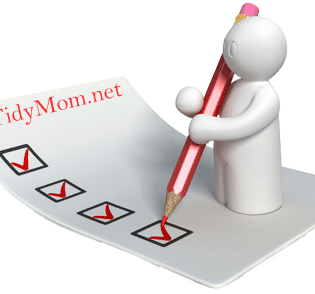 I have a couple favorite blogs for crafting and projects!! These talented ladies have shared some great ideas for Halloween! Are you still looking for some Halloween projects ? 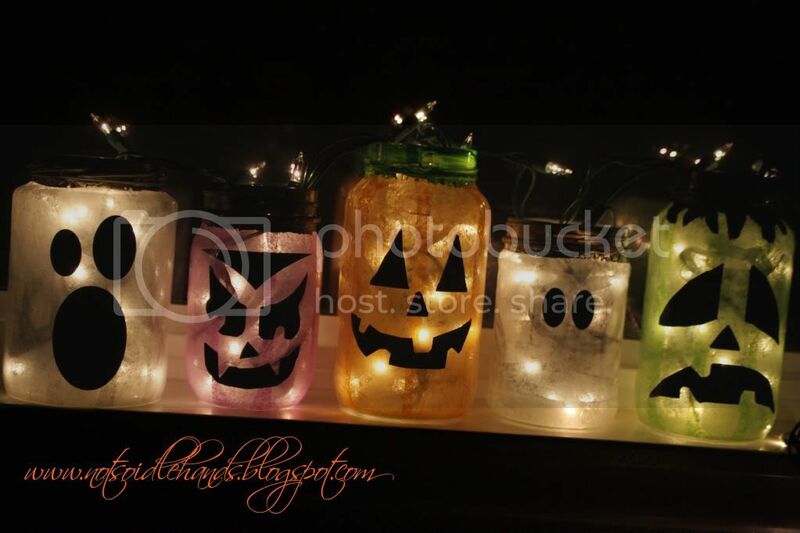 Emily of Not So Idle Hands made these incredibly cute Glowing Jack o’ Lanterns. Head over to her blog, you won’t believe how inexpensive they are and easy to make, even the kids can help! 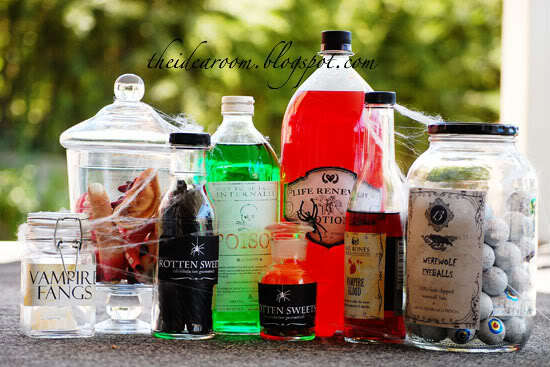 Amy, of The Idea Room made some spooky Halloween Apothecary’s with these label’s from Love Manor! 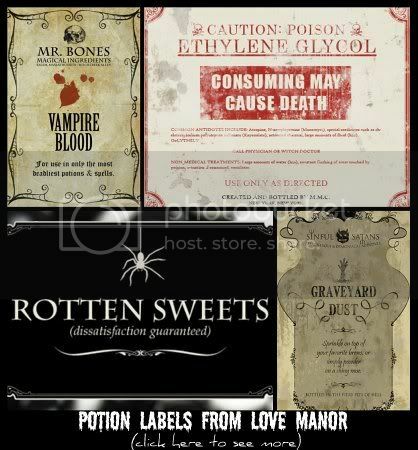 I posted a link to Jonny Love’s brilliant potion labels last year (here). Head over to The Idea Room and Amy will show you how you can make your own CREEPY SCARY Apothecary’s using Jonny Love’s potion labels! Both of these creative ladies are full of fantastic ideas! Be sure to browse all thru their blogs for more amazing ideas! Hello, this is totally unrelated to your post, and I don't know if you go in for these, but I am a silent reader who has an award for you on my blog. 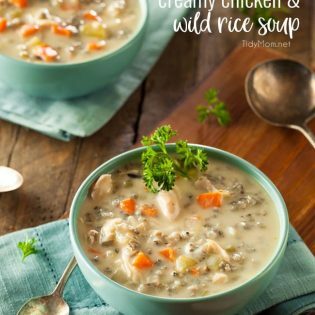 I love reading your blog and your recipes have helped me out on many an occasion when stuck for something to eat (the white bean chilli one was amazing) so I would like to say thanks with an award. I've been to The Idea Room before and loved it. I'm off to check out Not So Idle Hands! One of my friends made those same things. So, so cute. Loving those labels!!! 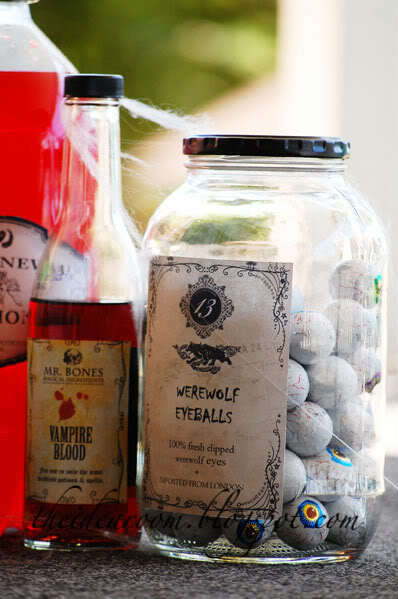 I want to have a Halloween party next year! These sound like fun! Thanks for sharing the links.